I’d like to share with you some insights on carving and finishing EZboard as shared with me by Frankie Feirn (bold), my replies included. Hi, I really think that you need to market your board to a wider range of carvers. The chip carving is beautiful, but your board holds detail, and is so much easier on fragile or older hands. 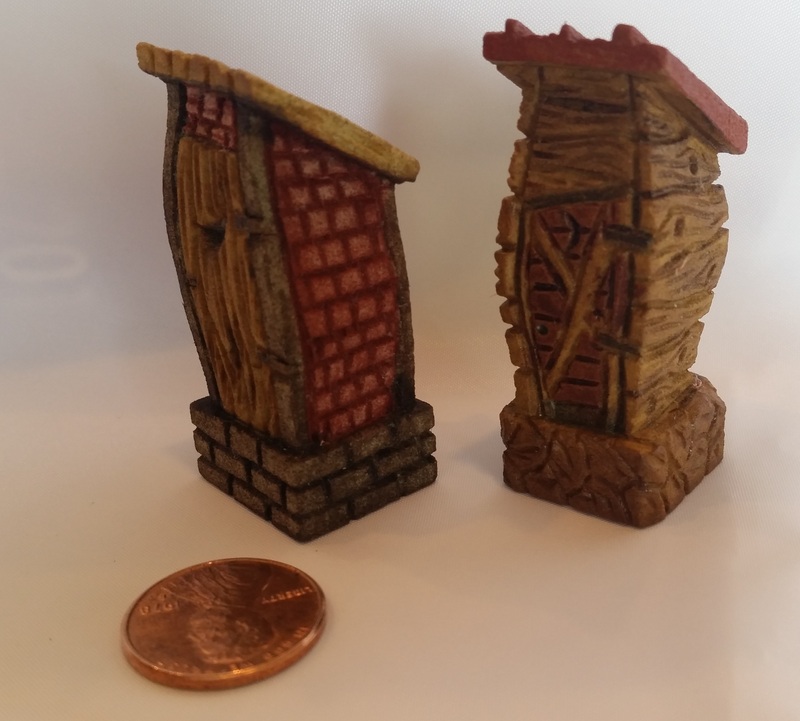 I do wee miniatures, especially on antique spools and baby blocks. Those are used instead of bass wood because of the detail you can get with the harder woods. Bass always is frustrating because of the “fuzzys”. You board is such a joy to work with. 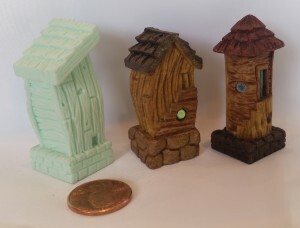 Here are some photos of things carved out of your 3/4″×3/4″×2″ pieces. Also some examples of spots and blocks to compare. The min-wax wiping stain (pic sent) is what I used, other than the turquoise doors. I have thought of submitting carving photos and articles on miniature carving, but am not computer savvy enough. Thank you! Thank you so much for sending me some pictures of your miniature EZboard carvings. Very nice! And the wiping stain really makes it look an awful lot like wood. The red coloring, is that done with acrylic? After the wiping stain is applied to the entire carving? Do you apply a topcoat after the wiping stain/acrylic has dried? I definitely want to market EZboard to wider range of carvers from all styles. I need to gather more samples like you’ve shown me here. I’ll do some myself as I have time and then share them as wide and far as possible. The red color is either the minwax crimson or cherry. It comes in about 5 wood colors and crimson, emerald and indigo. Also 2 clear coats, mat and gloss. For something that small and detailed I use small art brushes to get it into all the crevices and details. Sometimes after coat is dry, dry brush over it with light coat, lighter or darker for detail. P.S. the turquoise door is acrylic. When you say – Sometimes after coat is dry, dry brush over it with light coat, lighter or darker foe detail. do you mean dry brush with same color to add the light/dark detail?